This is a practical, entertaining book and an easy read. I highly recommend for anyone who is struggling with credit card debt. The book not only covers a payoff strategy for getting out of debt, it also reviews options available under bankruptcy law if that is required and also has some excellent basic money management tips. Highly recommend. Wow! This is an excellent source book! 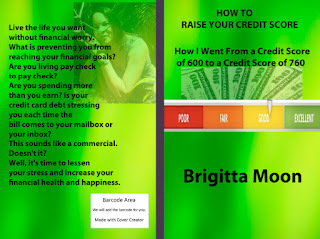 It gives sooooooooooooo many helpful hints on how to boost you credit score. What I love about this book is how the author breaks the concept down so that it is easily understood by the reader. A must have for anyone who needs credit advice. 5.0 out of 5 starsEasy to follow plan to start the journey to becoming debt free! This is a good guide to help set a plan to become debt free. The writing style is entertaining and easy to read allowing you to get a quick start!